I arrived back from Maui late on Monday night as as much as I was sad to say goodbye to the heat, the sun, the cane fields, and the wild parrots, I was looking forward to getting a nice rest. However, this week was BUSY and the couch time didn't seem to happen. There were definitely some emotional highs and lows this week. I hadn't put much energy or thought into the coaching situation until we got back home (getting through the last few days of the camp was challenging enough!) So, when I returned to Vic on Wednesday, the string of meetings, phone calls, and emails began. I spent a couple of days bouncing back and forth between being in a complete panic, researching every possible coaching option, to feeling confident that if I were to sit back and see how things unfold, everything would work out just fine (thank you, Adam for being the world's best listener!!). I realized that finding a happy medium was the way to go, thinking though our options, playing an active role, and not simply "reacting.". The position we are in is actually not all bad and is rather unique. In some sense, we are starting from scratch, but have the "reins" to create the ideal group/environment for us. We (Simon, Kyle and myself) have done a lot of brainstorming over the past few days and have come up with some really great plans for schedules, venues, training partners, etc. Kyle and I will continue to train with Joel's program for the time being and will take full advantage of the resources we are lucky to have available to us in Vic. What has amazed me is how willing everyone is to jump in and help, whether it is to offer their time coaching, or to simply act as a sounding board. There is no question that the local support played a major factor in my decision to remain in Vic. So, today was our first day back at it, starting off the next block of training. Because of the icy and COLD conditions this morning, we did some schedule-swapping and started the day with a swim with the National Triathlon Centre gang. This afternoon we met up for a 3-ish hour hilly ride. I think we covered every hill in the Victoria area (Prospect Lake, Observatory, Durrance, Willis Point, through the Highlands...). It was a great ride and fun to connect with some of the other athletes. 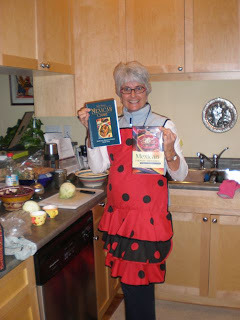 As much as I miss having chef Jordan to prepare the nightly dinners, I feel very lucky as Wendy has recently taken a Mexican cooking class (to compliment her Spanish lessons) and has been busy in the kitchen. I have been pretty much useless as far as meal preparations go this week and my only contribution seems to be the box of dark chocolate covered macadamias I brought back from Hawaii. We are still working our way through them, so in a way, I guess I have been preparing dessert every night! !